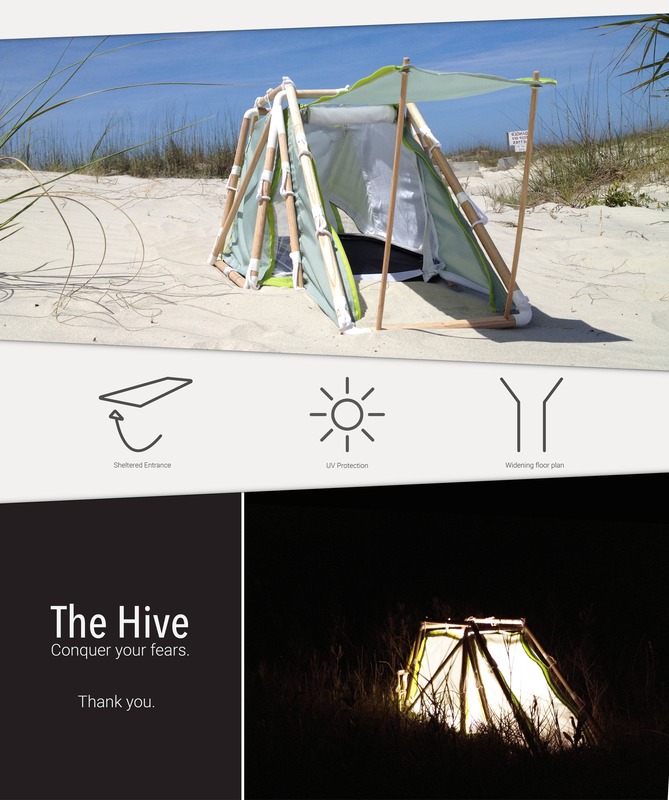 The Hive is designed to make you overcome your fears. We all have something that scares us; for me its small spaces. I have gone camping in tents that feel confining throughout most of my childhood, and wanted to design a space that would be more inviting. This would allow me to face my fear, which is the best way to overcome it.